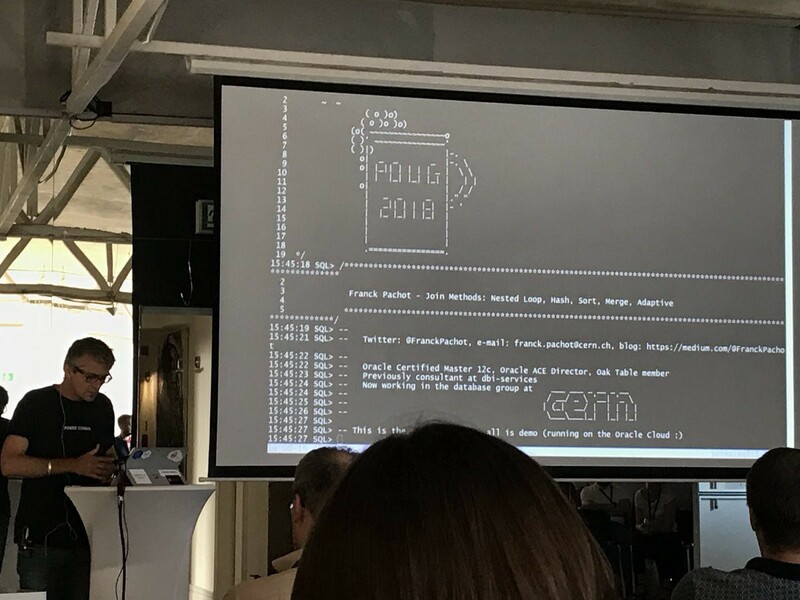 At POUG 2018 conference I explained join methods by putting gdb breakpoints on the qer (Query Execution Rowsource) functions that are behind the execution plan operations. I was a bit annoyed by several calls when running a Hash Join because of recursive, internal queries on the dictionary. There are a lot of queries on the dictionary during hard parse, but this was at execution time on a query that had already been parsed before. This is new in 12.2 and seems to be related to In-Memory Global Dictionary Join Groups feature, the execution checking and setting up the Join Group aware Hash Join. I’ve no idea why this is executed even when IM is disabled. There are probably no bad consequences in performance, especially given that we do no logical reads here (I don’t know by which magic by the way). It is just a surprise to see recursive executions on the dictionary during execution.